The young use them as mentors and/or role models; someone to look up to, but are sports figures all they're putting on to be? The following story is of yet another sports figure who was caught in the act of showing us what he may very well be actually about - nastiness. How many haven't been caught as yet? 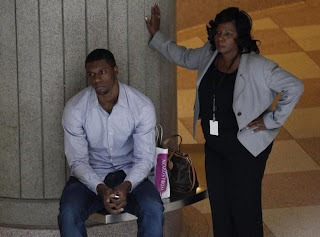 Will Terrence Jones for his horrible evil only have to benefit by doing some nice things for those he has harmed only to not benefit himself? Isn't it enough that we have to rest in fear, eat what we can find or have given to us, be used for churches and/or businesses can employ and/or gain for themselves and endure the almost daily attacks that all we seek to do is to be lazy and/or takers? Wake up people and STOP abusing us! Come to actually take a real interest in us, and then maybe, just maybe we can get out of the doorways, off of the streets and be productive members of a society which has those of the "Have-more", "Haves", & "Have-less" using us for their own profit/gain/control. According to police, a sergeant saw Jones walk past a doorway where two homeless men were sleeping, and witnessed Jones yelling "wake up!" to one of the homeless men before stomping on his leg. Terrence Jones earns his very own mug shot for allegedly stomping on a homeless man's legs. 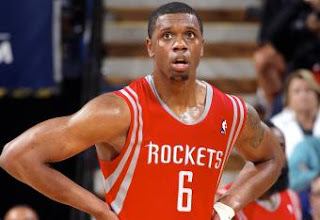 NBA players are no strangers when it comes to getting into trouble with the law, but the Houston Rockets' second-year forward Terrence Jones might have established an all-time low. 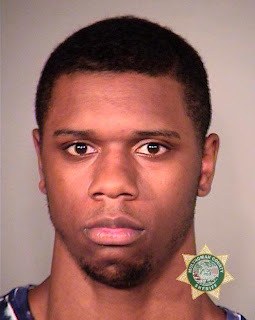 Jones, who is expected to compete in training camp for the starting power forward spot next to Dwight Howard, was arrested early Wednesday in his native Portland after he was seen by police stomping on the leg of a homeless man. Jones, who was a rookie last season, was charged with harassment, a Class B misdemeanor, and released on his own recognizance, about four hours after the incident outside a Portland night club, according to police. He has a court date scheduled for next Tuesday. Jones, 21, was taken into custody after a Portland police sergeant saw a large group of people exit the Tube nightclub. As the group walked into the street, the officer used a PA system to tell the group to go back onto the sidewalk. According to the police news release, the sergeant, Anthony Passadore, saw Jones walk by a doorway where two homeless men were sleeping, and witnessed Jones yelling "wake up!'' to one of the homeless men, who was identified as Daniel John Lellerher, 46. Jones then raised his leg and stomped down on Lellerher's leg. He suffered a minor leg injury but did not require medical attention. The Rockets refused comment. After graduating from Jefferson High School in Portland, Jones played two years at Kentucky, where he won a national championship. Drafted 18th overall in 2012, he played in only 19 games last season, averaging 5.5 points and 3.4 rebounds. Norfolk Now: Systems out of Balance?